Refinishing cabinets is a cost effective way to dramatically increase the appeal of your kitchen. 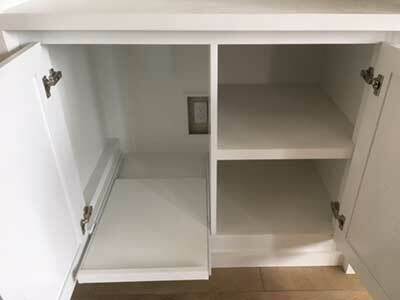 Find out more about Cabinet Refacing from SoCal Carpentry. Cabinet Refacing and Cabinet Refinishing in San Diego. It’s no secret that cabinets really define the look of your kitchen and your home, why throw away your cabinets when you can save money with Cabinet Refacing. While many homeowners immediately turn to replacing their cabinets because it seems like the only way to give their kitchen a complete facelift, savvy consumers know that cabinet refacing allows you the opportunity to have a completely fresh look at a fraction of the cost. Besides the cabinet refacing cost being better than that of new cabinets, cabinet refacing also offers some serious benefits! The cabinets that came with your home were most likely of higher quality than that of cheap box retailers like Home Depot and Ikea, SoCal Carpentry can reface your cabinets, install completely new hardware, make modifications to your cabinet shelving, organizers and more! With cabinet refacing from SoCal Carpentry you will have a fresh new kitchen at a fraction of the cost and you will be preserving the home that you’ve already purchased and love. Learn more about SoCal Carpentry services including Cabinet Refacing, Custom Refinishing, Cabinetry, Furniture, and Trim. Cabinet Refacing and Refinishing comes with many great benefits. Cabinet refinishing cost is far less than the cost of purchasing and installing new cabinets. You can preserve your current kitchen layout, without having to make more costly changes to your kitchen layout. 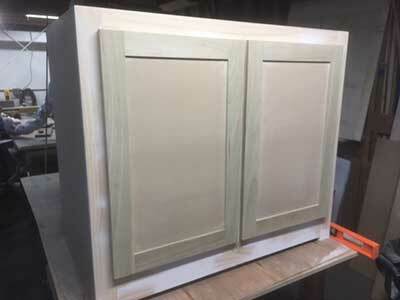 You can completely transform your current cabinets by refinishing them, change the color, change the design, change the hardware, whatever it is when you have your cabinet refinishing done by SoCal Carpentry you know it will be done right! Cabinet Refacing is Cost Effective. Refurbishing your existing cabinetry is the green choice. Match your existing cabinets to your new decor with Cabinet Refacing. Many homeowners love this option simply for the cost savings, but cabinet refacing and refinishing is also an excellent option if you have hardwood cabinets that are vintage, by reusing the existing cabinets you’ll achieve the finish you’re looking for without giving up the vintage charm of your home. Can My Cabinets Be Refinished? In many cases they can! But cabinet refinishing is really most advantageous if your home already features high quality, hardwood cabinets. 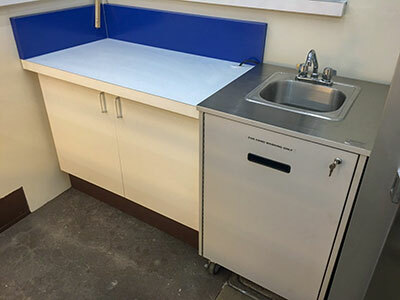 Give us a call today for a free estimate, we can help you weigh the options of cabinet refacing or replacing your cabinets with SoCal Carpentry handmade cabinets built in San Diego. What is the refinishing process like?? 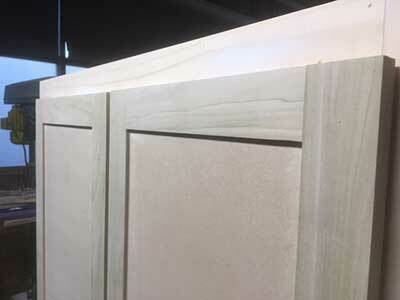 Our Custom Cabinets are built using the same process as all of our projects. We begin with a free consultation to get the scope of the project, we use CAD to design the project, build the timeline, and provide an estimate for the project. We then build and install your piece to your exact specifications. Want to find out more? Take a Look.